I had my one day a year of curling at the Wolf Ridge Bonspiel. 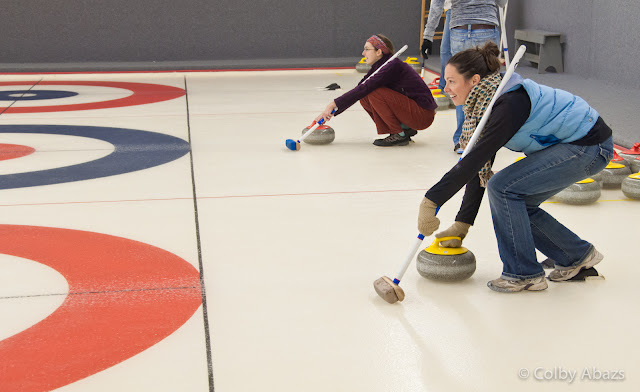 I really enjoy curling and it has been unfortunate that I have not been somewhere that there is curling. But at least I still get it once a year at this event. I like how both of them are kicking off at the same time and how the photograph is framed so that you can invision them sliding through the photo and out the left side.